Yes. It’s true. 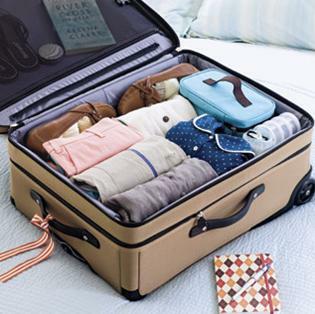 Rolling clothes is one of the biggest space savers when it comes to travel, so you don’t have to worry about packing that extra outfit. Rolling your clothes will make it seem like your bag is bottomless (but don’t get too carried away because you have more essentials to bring on vacation.) It also makes it easier to sort through your clothes so you don’t have to dig to the bottom of your bag to find that cute dress you’ve been dying to wear. Need more convincing? Having your clothes rolled actually prevents wrinkles. You probably just bought 5 new shades of lipstick to match those 5 new tops you bought with no shame (and I don’t blame you). What was the best part of that purchase? 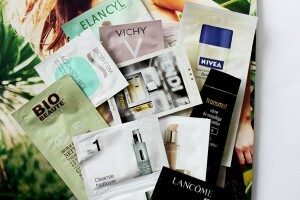 You were probably graced with A LOT of free samples. Those free samples are lifesavers when you’re packing everything. Just throw in a couple of those free perfumes samples, some concealer packets, and maybe even a single-use face mask if you get lucky. They’ll fit perfectly in all those small zips in your suitcase that you can’t seem to find a use for. When it comes to deciding what to wear on vacation, I tend to pull out the best 5 outfits in my closet and then realize that I don’t have room to take it all. I could sacrifice an outfit or two and just repeat an outfit, BUT we all know we can’t be caught wearing the same thing twice, especially on vacation. Here’s the tip: pick out the essential pieces that’ll allow you to create multiple outfits. A pair of jeans and a white top will surely be able to match a majority of what you pack. I always forget to pack a laundry bag. And rightly so, since you are probably more focused on showing off your recent spring break haul than remembering that those clothes will soon be dirty and end up next to your clean ones. So don’t forget to pack a laundry bag! Another bag you should invest in is a makeup bag. 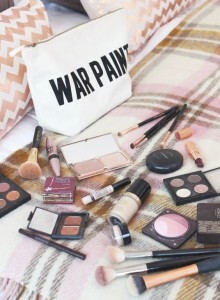 Instead of losing your mascara at the bottom of the bag, pack all your toiletries and small beauty products in a makeup bag for ease of access. Don’t try to pack that big bottle of shampoo because that will create a mess no one wants to deal with. (I know your hair appreciates the shampoo, but a spillage will surely upset your clothes). There are some great cheap empty bottles that you can pick up at any convenience store. They are made to meet airline regulations and are definitely a space-saver. 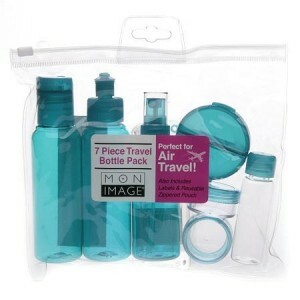 So whether your flying high or road-tripping out of town, a couple of these bottles filled with some body soap, shampoo, conditioner, and maybe even perfume will help you travel hassle-free and allow you to enjoy your vacation of a lifetime. Store them in a Ziploc bag to ensure that your clothes won’t be spoiled during travel! Got any packing hacks that work for you? Share them with me in the comments section below!